Buying a high-quality tripod and ballhead is an important decision for any landscape photographer. 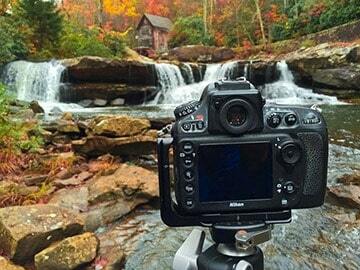 Everyone has their own personal preferences, so I want to share with you some popular options among serious landscape photographers. There are loads of good options, but if I were buying a new setup today, I'd choose the Feisol CT3442 tripod and the Acratech GP Ballhead with lever clamp. For me personally, those are ideally suited to today's traveling landscape photographer with average-weight professional gear. Keep in mind that this post is about the high-end professional tripods and ballheads on the market. If you don't have a huge budget or don't punish your tripod like a professional landscape photographer, then you can find excellent less expensive tripod options which I wrote about here. Just to be clear, I'm not saying that the following tripods are the best ones out there. There are many hundreds of excellent tripods on the market. I just want to share a few that stand out to me as excellent options used by me or others of my friends who are serious landscape photographers. The idea is to show you what's out there and how they differ so you can find one that best matches your preferences. 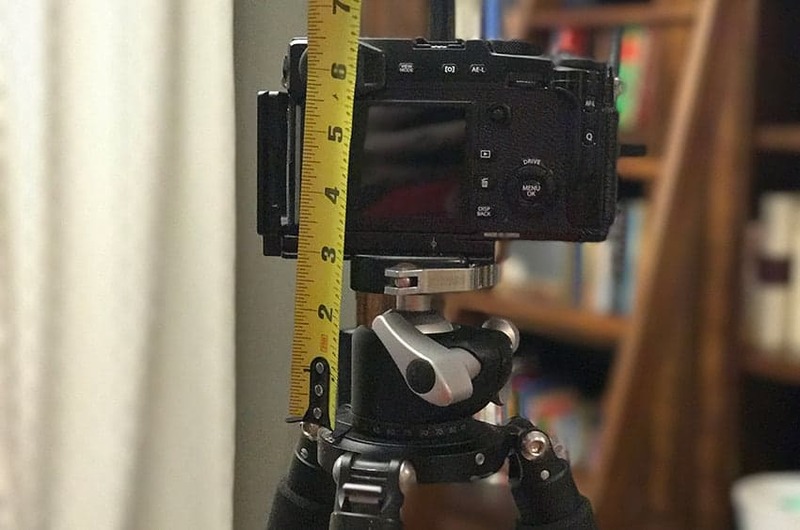 Despite using a VERY compact ballhead (Really Right Stuff BH40) and a small mirrorless camera, this setup still gives me almost 7 inches of height above the tripod. Add to this the height from my eyeline to the top of my head and you can see that you don't need a tripod as tall as you are. How Tall of a Tripod Do You ACTUALLY Need? Before I found my dream tripod, I made some buying mistakes. I bought a couple tripods which were too short and caused me to hunch over to look through the viewfinder. Then, I made another mistake which I think is even more common. I determined that, since I'm 5'10” tall (178cm), I need a tripod which is 5'10” tall (178cm). It was WAY taller than I needed, which added unnecessary weight and was a feature I rarely needed. Here is a little guide for choosing a tripod that will come up to your eye without hunching over uncomfortably. The reason you don't need a tripod as tall as you are is because the top of your scalp isn't what's taking pictures 🙂 You need to take your height, minus the distance from your eye to the top of your head, minus the height of the camera from the bottom to the viewfinder, and subtract the height of the ballhead. Also, if you have a tripod set up so the viewfinder goes ALL the way up to your eye, you'll feel like you need to stand on your toes. It's more comfortable to have your viewfinder on the tripod just a couple inches shorter than your eye line so you can lean in around a tripod leg. In the table above, I gave everyone an extra 2 inches from what you probably need in terms of height just to accommodate personal preferences. I'm 5'10” and my Feisol CT3442 is a comfortable height for me. The table above should give you a good idea of what tripod would be an ideal fit for your height. But you can probably even skimp another 2 inches and be fine (meaning buying a tripod 2 inches shorter than what the table says). Does the tripod use a center column? Almost all of the serious landscape photographers I have shot with either buy a tripod without a center column (my preference), or they remove theirs (if it has that feature). Center columns make it so you can't get as low to the ground to get creative angles. Some tripods allow the center column to flip upside down, but in my opinion, this is too much of a hassle. It's RARE that I meet a serious landscape photographer with a center column. Can this tripod go with me in a carry-on? This is the number one question I ask when looking at a tripod. I need something small enough that I can go through airplane security in any country around the world without issue. I would never want to check a tripod. Is the tripod overkill for my setup? As more and more serious photographers switch to lighter weight mirrorless setups, tripod needs also change. The gigantic beefy tripods of 10 years ago aren't necessary for many photographers anymore. You certainly want something sturdy and well made, but don't go overboard and get something heavier and bulkier than you really need. How many sections do you want? The more sections you have in your tripod, the more points of failure in terms of strength. Also, more joints mean more legs to unlock and extend. However, more sections on your tripod mean it collapses much smaller. I personally prefer having four sections on each leg (3 joints) to keep the size down. Snap or twist locks? I personally prefer twist locks because they seem more sturdy to me over the long run. Snap locks are faster to use, but have a tendency to be a little loose after a couple years of use. I bought my Feisol CT3442 on Amazon four years ago and have not had problems with it despite the fact that I've never once cleaned it (I know, I'm bad), dragging it through many countries including dunking it in the Li River, abusing it with sea salt in 4 oceans, etc. Here were my primary reasons for choosing this tripod. It's super light weight, which is absolutely essential for me as I travel for most of my shoots. It collapses very small so I can attach it to my bag and TSA doesn't even take a second look at it. I've never had trouble getting on a flight with it attached to my carry-on. It's sturdy–despite using it in PUNISHING winds in Ireland, Iceland, and other places. It's the PERFECT height to come right to my eye without hunching (I'm 5'10” or 178cm for those of you across the pond). My tripod isn't suited to everyone. If you shoot with a full frame DSLR and lenses more than 300mm, I would steer you toward a different tripod. I have shot with a 600mm lens and a Nikon D810 on my tripod multiple times and didn't have even the slightest issue, but it's just not built for that. Also, the rubber feet came off all three legs of my tripod a couple years ago, causing me to get a replacement. Feisol has FANTASTIC customer service. I recommend if you buy a Feisol tripod, just put a dab of super glue on the feet just to be sure. I purchased the Really Right Stuff BH40 Ballhead several years ago and it has been GREAT! Absolutely no complaints whatsoever and no problems. However, if I were buying today, I'd probably go with what my buddy Nick Page chose: The Acratech GP Ballhead with a lever clamp. It's just as rugged and solid as the Really Right Stuff, but has more cool features. It's just as light as the Really Right Stuff BH40 at 1.5 pounds. It has an open ball design which prevents grease and grime and sand from getting in the ball. This is really cool, but I will also say that I haven't had this issue with my RRS head either. Works as a gimbal head for shooting wildlife with long lenses. It looks cool. Yes, I admit it. I care. Again, there is NOTHING wrong with a Really Right Stuff Ballhead. They will last you for a career and are exceptionally well made. I don't regret buying mine, but it doesn't have the features of the Acratech, so if I were buying today I'd probably go with that one. While I do think it's worth spending good money on a higher-end tripod and ballhead to get a setup that will last you many years, most photographers don't need to spend this much money. There are some FANTASTIC setups available from Sirui, Induro, Manfrotto (don't recommend their heads, though), Benro, and others.